Wow…this site is so painful and important. Thanks for commenting. History can sometimes be painful, but its important that we know it. 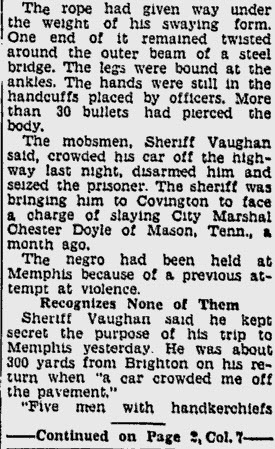 The incident was also reported by the New York Times on Aug. 18, 1937. Thank you for covering this history; it is important to keep acknowledging it. 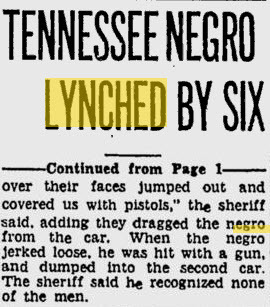 I am also adding such lynching events to city and bio articles in Wikipedia.